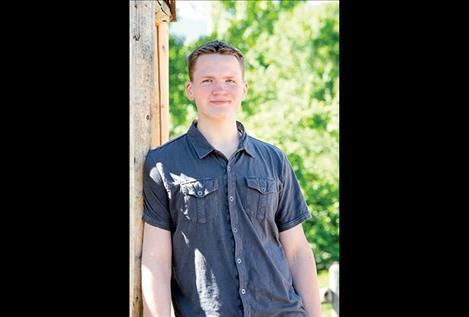 ST. IGNATIUS – Wilson Hidy, 17, is the first student to graduate from Glacier Lake School, which also happens to be the first school in Montana with a student-directed learning program. “We are very excited to have our first graduate,” said Ben Kestner, the school’s co-founder. He started the school four years ago with his wife Lisa Pavlock. Glacier Lake School opened on Wild Rose Lane to offer students ages 4 to 18 a self-directed education. Students choose what and how they want to learn with assistance from staff members. The method is based on an education model utilized in places like Summerhill in the United Kingdom. In those four years, the school has gained a nonprofit status and grown to include 33 students. Pavlock said the students help shape the school and the rules, and in that tradition, the students also voted as to whether Hidy was ready to graduate. She said the kids considered voting “no” in an effort to keep him at the school. “They like him so much that they didn’t want him to leave,” she said. In the end, he got an overall “yes” vote. Hidy spent two years at the school after moving to the area from Trout Creek. He said he tried several educational options including receiving a 4.0 in public education and trying home schooling. He notes in his graduation thesis that he was worried he might not like Glacier Lake. The school turned out to be exactly what he wanted. He chose to study things like math, beginning French, world cultures, music theory, computer technology, fitness, nutrition, martial arts, crypto currency, entrepreneurship, community issues, and leadership skills. He also worked with a program through the Salish Kootenai College to create a board game based on aquatic invasive species. Hidy said he isn’t sure what he is going to do next. He took the SAT entrance exam in case he decides to go to college, but for now, he is planning to travel.